Live Room and Recording Room are functionally two most important studio rooms of Bravo Records. Live Room with the area of 100 square meters is allocated for playing music, where optimum acoustic and technical properties are achieved with the assistance of British sound engineers, in order to produce an ideal sound. 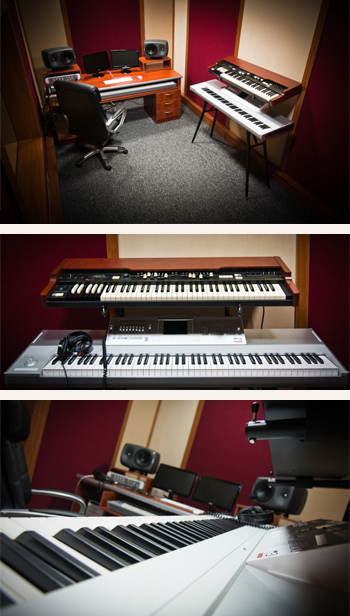 Recording Room is equipped with classic and latest models of the famous sound recording equipment brands – Yamaha Grand Piano, Marshall and AMpeg amps, Neumann U87, Brauner Phantom, Earthworks DK25, Coles 4038 Ribbon microphones, and Fender Stratocaster and Fender Precision Bass guitars. Sound signal is directly recorded on the Duality SE console, manufactured by Solid State Logic (SSL), which is installed in the Recording Room and is unique with its parameters. Manufactured upon special commission of Bravo Records, this is the only such console in the South Caucasus. Mastering Studio of Bravo Records is the only professional mastering studio both in Georgia and the South Caucasus, where song mastering is done not with the assistance of software, but by means of the mastering console, created exactly for this purpose – Maselec MTC6, the UK-made Prism Sound transfer console, one of the latest models of transfer consoles, is the best all over the world to the opinion of many competent music magazines. Similarly to other studio rooms of Bravo Records, ideal acoustic parameters of the Arrangement Rooms enable arrangers to flawlessly perceive the sound. Arrangement rooms were technically equipped in compliance with international standards. Hammond XK3 - the only analogue organ in Georgia, latest model Kurzweil MIDI keyboard SP2X and Korg synthesizer M3 – this is an incomplete list of those instruments, with which the arrangement rooms are equipped. Dubbing Room of Bravo Records is intended for dubbing feature films and documentaries, audio clips and other video products. The room provides ideal conditions for actors. Both natural and outside sounds, as well as special effects and actors’ voices are recorded in the room. For sound recording purposes, the room is equipped with best microphones – Rode and Brauner Phantom. Replication of CDs and DVDs is done by Rimage 3400 - the only professional replication equipment in Georgia. Unlike the other makeshift production available on the market, discs prefabricated at Bravo Records meet each standard for selling through international distribution channel.